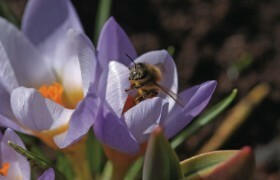 Holidays and tours for garden lovers, in the U.K & overseas, travel from your local area. Holidays Welcome!... to our 2018 selection of coach tours & visits to the most beautiful gardens, and the very best of garden shows, both in the U.K and Europe. Holidays designed for those who would enjoy a holiday spending some time visiting beautiful gardens - either in the company of other garden lovers, with your partner or family, or happily solo (like Napoleon in the 'Man from U.N.C.L.E'?) - Beautiful Garden Holidays. Here on our home page we illustrate a very small selection of our garden holiday coach tours in the U.K, with local departures from all over the U.K, (and the option of self drive or rail to the base hotel), visiting some spectacular gardens within England, Scotland and Wales. Our most popular coach tours continue to be the gardens of England, and in particular Southern and Central England. 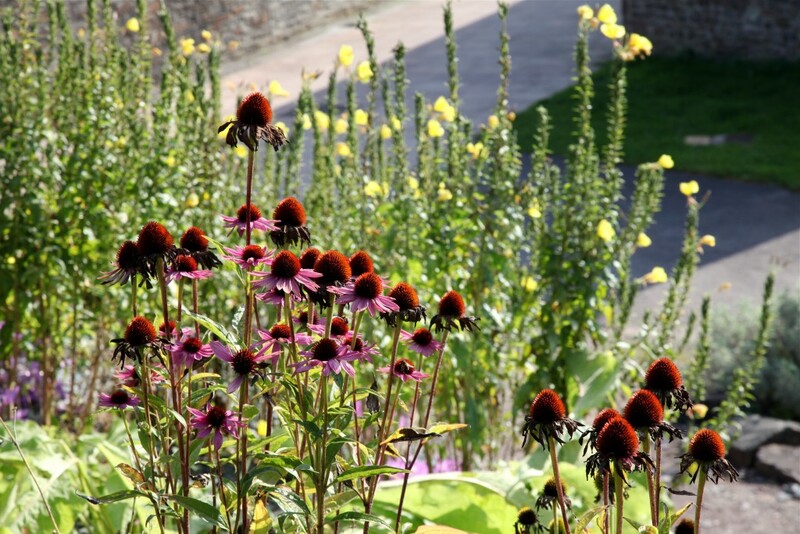 Here we include the St Mawes based 5 day 'Gardens of Cornwall' tours including full day excursions to both the Eden Project and the Lost Gardens of Heligan. And the St.Ives based 8 day 'Glorious Gardens of Cornwall and the Scilly Isles' tours, which now include 3 full day's out to Tresco Abbey Gardens on the Isles of Scilly, The Lost Gardens of Heligan, and new for 2018 - Lands End & Trengwainton Gardens-a National Trust garden, sheltered and bursting with exotic trees and shrubs! (NT). Also, we return with our 5 day tour to the 'Gardens of North Devon', and added for 2018 are two 'Welsh delights'- 5 days to the 'Hidden Gardens of North Wales' and another lovely 5 day garden holiday to Wales to 'Tenby and the National Botanic Garden', -Tenby, the harbour town and resort in South West Wales steeped in history with fine Victorian houses painted in sugared almond colours, the Botanic Gardens a jewel in the crown of Welsh gardening. Moving on to the 'Heart of England', we feature 5 days in the 'Gardens of the Cotswolds', with visits to the elegant Painswick Rococo Gardens and the private gardens of HRH The Prince of Wales-Highgrove, led by an expert tour guide. And depending on your home address this can also include the 'home connect' door to door service. Details of any of these tours can be emailed to you on request, or we welcome your call for anything you would like more information on, having read the brief details here on our website. All in all, another exciting program of tours to gardens across the UK in 2018, and developing all the time, so if you fancied a garden tour to a specific region or have particular requirements, please do contact us -we aim to please. If not featured here, we can search suppliers using our wealth of experience and knowledge and may still be able to find your perfect garden holiday. We also tailor make garden holidays, booking flights, trains and hotels to visit gardens you really want to see, whether travelling alone, as a couple or small group. And if you are a club, group or society a tailor made tour can be ideal too. If you are a member of your local garden club why not suggest a club trip away? Life's too short not to! The Scilly Isles & The Glorious Gardens of Cornwall from £544 (25th Aug departure)- outstanding value! Stay close to the golden world-class beaches of St.Ives, visit scented sub-tropical gardens, cobbled streets painting a colorful past and stunning Cornish countryside. Add the fascinating Scilly Isles and you have the makings of a holiday to remember. A lovely 8 day coach tour of Cornish & Scilly Isles gardens, with 5 departures from London and the South East of England (for other regional departures please see below), from June 2nd until September 15th, on a Saturday. In 2018 our 3 organised day trips out include as usual the Tresco Abbey Gardens on the beautiful Scilly Isles, the Lost Gardens of Heligan- and new for 2018 a full day to rugged Lands End and the delightful Trengwainton Gardens (a National Trust property). Departures from other regions (East & west Midlands, North West, North East & Yorkshire) will stay in St Mawes (see 5 day tour below for resort/hotel descriptions) and will visit a different selection of gardens-details provided on request. 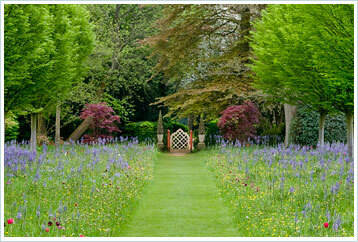 The romantic Cornish gardens exude a timeless, magical quality. Included are 3 full day excursions, which depending upon your departure region will comprise 3 trips: These may include the fascinating, world famous domes of the Eden Project, the Lost Gardens of Heligan, which includes a mystical tour with the chance to explore 'The Jungle' and 'The Lost Valley', Tresco Abbey Gardens on the beautiful Scilly Isles, the wonderful Trebah Gardens and Trengwainton Gardens (NT). Please contact us with your preferred departure town and we will tell you which 3 day tours are included from your area. The special lead-in price of only £544 rises to a maximum of just £693 but please check with us for current prices. We frequently also offer a discount for early bookings. The prices include luxury coach with joining points from across the U.K, 7 nts dinner, room and breakfast in St.Ives or St Mawes and all garden visits. Remember that your departure region will determine which of the two hotels and resorts you will stay in, and also the selection of the 3 full day excursions. Simply call or email our reservations staff for confirmation of these from your local area. Nestled among rich, magnificent coastal scenery is stunning St.Ives, enjoying a beautiful setting at the south western tip of Cornwall. Discover crystal blue waters and golden sands, delightful cobbled streets winding their way down to the pretty harbour and sub-tropical temperatures promoting the growth of more unusual plants and shrubs. 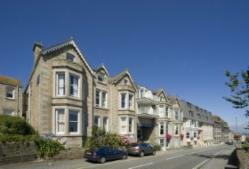 Our welcoming hotel, the St.Ives Bay, enjoys panoramic views of Porthminster Beach and Bay. The stunning views are complemented by just a short walk to the town and beach, making for a perfect location. There's a lounge area with bar and small dance floor with entertainment on some evenings. In Spring & Summer you may enjoy the outside courtyard. Single room supplement great value and unchanged at £35.00, (advance registration will also open soon for 2019 to ensure availability). Bedrooms with stunning sea views are available, supplement also unchanged from £49.00, that's just £3.50 per night each for 2 sharing. For St Mawes and the Ship & Castle Hotel descriptions (all departures other than London/South East) please refer to the 5 day tour of St Mawes & Gardens of Cornwall on this page. 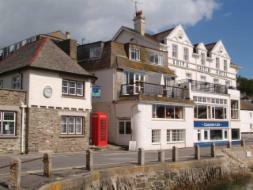 A holiday in one of the most exclusive waterside villages within Cornwall. St. Mawes, full of character and colour is simply scenic and a superb place from which we can go exploring the array of acclaimed Cornish gardens nearby. An inexpensive 5 days to glorious Cornwall, boasting some of the most picturesque coastlines and landscapes in the country. Our base in the pretty harbour village of St. Mawes provides the perfect setting for a leisurely break with a full day tour included to the awesome Eden Project. These giant 'biomes', big enough to contain the Tower of London, act as the world's climate zones, containing thousands of important and beautiful plants from every corner of the world. Zones such as the Tropical zone and the Mediterranean zone reproduce exactly the climate and growing conditions of these parts of our planet, and to be able to walk between such diverse environments within a few minutes is truly an experience for the garden enthusiast not to be missed! A short introductory talk is included too. 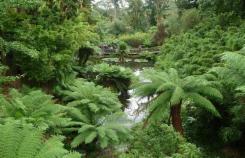 Our second excursion is a half day magical mystery tour around the Lost Gardens of Heligan. 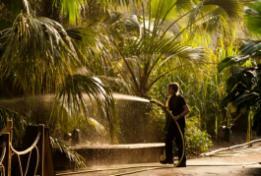 Exotic plants, lush greenery and a blaze of colour- it's a horticultural haven. There's plenty of time to immerse yourself in the nautical atmosphere of the Cornish Riviera back in St.Mawes, and to unwind back at your hotel-the Ship and Castle. Set in an enviable position right by the harbour, the bar lounge overlooks the sea and holds relaxed entertainment on some evenings in an intimate atmosphere. On your free day you may like to visit St Mawes Castle, one of the best preserved coastal artillery fortresses from the reign of Henry VIII. 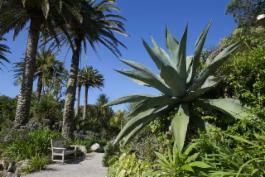 Or take a walk to the beautiful 4 acre Lamorran Gardens in St Mawes-a sub tropical garden where palm trees abound and with a Mediterranean water garden you could be in Italy, with beautiful views to the sea and Rhododendrons and Azaleas usually peaking around May. 4 departures leave during the season on Mondays from May 21st through to September 17th, returning Fridays. Prices start from only £335 on the 17th September and rise to just £396 in high summer. This includes Half Board for 4 nts sharing twin rooms, return coach from your choice of departure point, and the Eden Project and Heligan excursions. Not all tours are available from all joining points so please check with our reservations staff for joining points from your locality. Tours with limited departure dates or peak dates on any tours should be booked early, and if single rooms are required , very early booking is strongly advisable. Only a deposit will be required until 2 months prior to departure. And remember there's often a discount on early bookings. Please ask your consultant for any discount currently applicable. All these tours are once again operated by Shearings luxury coaches. With over 100 years' experience of organising superb holidays, Shearings operates the largest, most luxurious holiday coach fleet in the country, offering a wide choice of joining points around the U.K.
Self drive and Rail: Should you prefer to make your own arrangements for travel to and from the hotel base by car or train, we can omit the return coach travel and you may then join the group for the full itinerary. Air Travel: For those wishing to travel to our hotel base by air, please call our sister operation the Flightcentre for flight information and reservations. Holidays to gardens coming soon! Forthcoming holidays include the gardens of Yorkshire within the U.K, and France, Holland, North Thailand and South Africa. For details on these, or any holiday destination where you would like to visit gardens during your stay, please contact our reservations staff. Holidays to destinations featured in the BBC television series 'Around The World In 80 Gardens' can also be arranged by our experienced travel staff. Shop: If you live near to us, come in and have a chat!